We are proud to provide homemade healthy, nutritious and tasty meals. 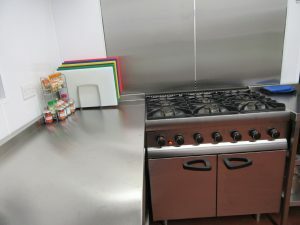 All meals are freshly prepared and cooked on the premises by our qualified chef. For every child’s healthy growth and development a well balanced diet is essential. Our menus have been developed using the nutritional guidelines for under 5’s and are planned daily to ensure children receive a varied and nutritionally balanced diet. All dietary needs are catered for, we are mindful of dietary requirements with vegetarian, nut, wheat and milk free options available. Children help themselves to water throughout the day and milk is offered in the mornings and afternoons. We encourage children to try a wide range of foods which will help to establish healthy eating. To promote healthy eating our menu’s are based on the Eat Better Start Better guidelines. Please take a look at our sample menu to get a better idea of the healthy meals we will be preparing for your child. Meal times are important for children’s social development, by eating with others the children can develop their eating habits, table manners and social interactions. We work to baby’s home routine and ask parents to provide breast/formula milk, cows milk is provided by the nursery. Please view our sample menu here.